Thanks to the support of our donors, volunteers, singers and accompanists the Mietta Song Competition has had a very successful 22 years of operation since the first Competition in 1995. We are committed to continuing that success in the future. Laura King, winner of the 2016 Competition, and Rosie Riebl who met during that Competition are collaborating and performing in Sydney Fringe Festival on 28-30 September in a program of songs by Australian women composers. On Saturday October 8, MSC 2016 winners Laura King (soprano) and Jonathan Wilson (piano) will perform Mietta in Focus at the Port Fairy Spring Music Festival. We are excited to facilitate this recital with the support of the Williamson Foundation. Sydney-based soprano Laura King was awarded the first prize (the Mietta Prize) at the final of the Mietta Song Competition on 17 July 2016 at the Australian National Academy of Music, South Melbourne. The finalists for the 2016 Mietta Song Competition have been announced. Blake Fischer &amp; Martyn Parkes – A Song Cycle Recital Sunday 10th July - 4pm All Saints Church 2A Chapel St, St Kilda. The Master Classes for the 2016 Mietta Song Competition will be held at St Stephen's Anglican Church, Richmond on Thursday June 14 and Friday June 15. Gertrude Opera's free Master Class with Noëmi Nadelmann &amp; Brian Castles-Onion Open Master Class is quickly approaching. Pianist Alex Raineri, who formed part of the winning pair of the 2014 Mietta Song Competition, is curating a concert program as part of a fellowship at ANAM. The Castlemaine State Festival are presenting a special event - the Countdown to the Festival concert. The Tait Performing Arts Association is presenting a concert produced and directed by Cameron Menzies featuring Liane Keegan, Michael Lapina and excerpts from the new musical The White Mouse about Nancy Wake . On Tuesday 10 November 2015, the Tait Performing Arts Association are presenting KABARETT! Elyane Laussade is excited to offer a solo piano recital at the Laussade Studio which will also be performed at the "Musique en Lumieres" Festival in St Riquier, France very soon. The Mietta Song Competition is excited to hear that Sean Peter Ross, graduate of the University of Melbourne, has composed an opera based on the life of Tchaikovsky. On Thursday 26 July 2015 from 6pm, former Mietta Song Competition winner Siobhan Stagg will present a program of Art Song with pianist Eidit Golder as part of the Melbourne Recital Centre's Local Heroes concert series. The Mietta Song Competition is delighted to share the announcement of the competitors and the jury of the 7th Melbourne International Chamber Music Competition, to be held on 11-19 July 2015. On Tuesday 14 April 2015, join Neil McLaren, hot on the heels of the Orchestra of the Age of Enlightenment New York tour, on a journey through the high notes of the early 18th century German flute repertoire. Tabatha McFadyen &amp; Alex Raineri in Recital at Christ Church, South Yarra Friday, January 16, 2015 at 7:30pm. A well remembered classical music event, Music in the Round, is returning to the picturesque Abbotsford Convent. On Friday 19 and Saturday 20 September the VCA and MCM are presenting Pathways as part of the Melbourne Fringe Festival. Karen Fitz-Gibbon,finalist of the 2014 Mietta Song Competition, has written a thoughtful account of her experience as a participant in this year's competition on her blog. A recital featuring Brisbane soprano and former Dame Nellie Melba Opera Trust scholar Panayiota Kalatzis will be staged at 3pm on Sunday the 3rd of August at 2 Whitton Court, Black Rock. Tabatha McFadyen, soprano, was awarded first prize (the Mietta Prize) at the Finals of the 2014 Mietta Song Competition. The finalists in the 2014 Mietta Song Competition are: Karen Fitz-Gibbon (soprano), Tabatha McFadyen (soprano), Ayse Goknur Shanal (soprano) and Brenton Spiteri (tenor). Click the link below to see our semi-finalist Karen Fitz-Gibbon's wonderful video about the nature of Art Song. It's great viewing for any lover of music! The 13th Mietta Song Competition will be held on 19 and 20 July 2014 at the Iwaki Auditorium Southbank Boulevard Southbank. Presented by the VCA in partnership with the Margaret Lawrence Bequest and Melbourne Conversations, the Art of Giving will explore the current status of arts philanthropy in Australia.  Soprano Louise Page, who was the inaugural Mietta Song Competition winner in 1995 (then named the City of Melbourne Song Competition) was featured on ABC Classic FM's 1pm Sunday Live concert on the 6th of April. Sydney born Soprano Melinda Parsons was the winner of the Mietta Song Competition in 2000 and has since performed in opera and concert houses in every German speaking country and in many other countries around the world. The Lyrebird Music Society is staging a recital by pianist Stephen McIntyre at 2pm on the 9th of March 2014 at the Wyselaskie Auditorium in Parkville. Melinda Parsons, the winner of the Mietta Song Competition in 2000 will present a concert at the Benedictine Monastery in Arcadia at 2pm on the 16th of March 2014. Exposing the dynamics of the duo: Singers’ and pianists’ collaborative rehearsal and performance. Professor Jane Ginsborg from the Royal Northern College of Music is visiting the Melbourne Conservatorium of Music in March 2014. In their latest newsletter the Tait Memorial Trust was delighted to announce that Australian soprano, Siobhan Stagg earned second place overall in the international Mozart competition and the Richard Strauss prize for her excellent interpretation of the lieder repertoire of Richard Strauss. Arts Mildura and the MWAF have launched the Mildura Wentworth Arts Festival 2014 Program. 2012 Mietta Song Competition winner is having more success internationally. ABC Classic FM has announced it will record the Mietta Song Competition Final on Sunday 20 July 2014 for re-broadcast early in August. Melinda Parsons , MSC winner in 2000, is coming to Australia in March for recitals in Sydney and a cabaret performance in Melbourne. Mildura Brewery has announced that it will continue its sponsorship of the Mietta Song Competition. The Brewery was a sponsor in 2012. More than 65 people enjoyed the Lotte Betts-Dean and Stewart Kelly recital at the Savage Club. The Mietta Song Competition and the Tait Performing Arts Association have held a joint recital, featuring 2012 MSC runner-up Charlotte Betts-Dean and accompanist Stewart Kelly, at the Savage Club. Australian tenor, Michael Smallwood</a> will return to Australia to join the 2014 Mietta Song Competition Judging Panel. The Murray River Festival will again offer a prize for an MSC finalist in 2014. Domenico de Pieri, the MSC Youth Ambassador in 2012 has agreed to be our Youth Ambassador for the 2014 Competition. The Mietta Song Competition and the Tait Performing Arts Association will jointly host a recital by Lotte Betts-Dean at the Savage Club on Thursday November 28 at 7.30 pm. The Mietta Song Competition and Tait Performing Arts Association are pleased to present Lotte Betts-Dean in recital at the Savage Club on Thursday 28 November from 7:30 pm. MSC teams with Tait Performing Arts Association. The Mietta Song Competition will stage a recital featuring 2012 MSC Finalist, Lotte Betts-Dean, at the Savage Club Melbourne on Thursday November 28. Peter Burch AM BM has been appointed the Mietta Song Competition (MSC) 2014 Ambassador. The Mietta Song Competition 2014 dates will be announced soon. Already an outstanding judging panel is being finalised by the MSC Artistic Committee headed by Professor Mel Waters and a stimulating range of Master Classes are being planned. Celebrated pianist Caroline Almonte will perform a program of an evening of Bach, Beethoven and Chopin at the Savage Club on the 15th of July 2014. The classical singing world lost one of its real luminaries when soprano Eilene Hannan died in England last week. Mietta Song Competition 2014 entries close soon – March 5. National auditions will be conducted in late March and early April by the audition panel of Sharolyn Kimmorley AM and Margaret Haggart.